10 Tips for Traveling to Italy with Kids | Ciao Bambino! With a name like Ciao Bambino, it’s no secret we log many hours sharing not-to-be-missed insider information on how best to travel in Italy with kids. Families from around the world have been relying on our portfolio of thoroughly vetted Italy family hotels, resorts and villas for more than a dozen years now! There are a few Italy family travel tips we share continually with those who use our vacation planning service to help families create the best trip possible. Saturday-to-Saturday stay requirement: The best family-friendly accommodations for a weeklong stay or more are either what we call “resorts” on Ciao Bambino (preferred for independent families with apartments/villas in a shared amenity setting) or independent villas (preferred for multigenerational travel). Over the summer months in particular, these accommodations are available only for Saturday to Saturday stays. Book flights accordingly! Best family-friendly Italy itinerary: In the most popular 10- to 14-day Italy itinerary with kids, families start in Rome for four nights, spend a week in Tuscany and then end the trip with two to three nights in Venice. You can reverse this itinerary as well. Book flights into Rome and out of Venice or vice versa. Now available on Ciao Bambino: packaged Italy family trips! Italy holiday favorites for Round Two: Other hotspots for family holidays in Italy include Sorrento and the Amalfi Coast, Cinque Terre and the Italian Riviera, Sardinia and Lake Como. For a second holiday in Italy after you’ve covered the must-see destinations, we love Bologna, Puglia, Umbria and the Dolomites. We heart walking tours with kids in Italy: We absolutely recommend a kid-friendly walking tour to enrich the experience for all ages. 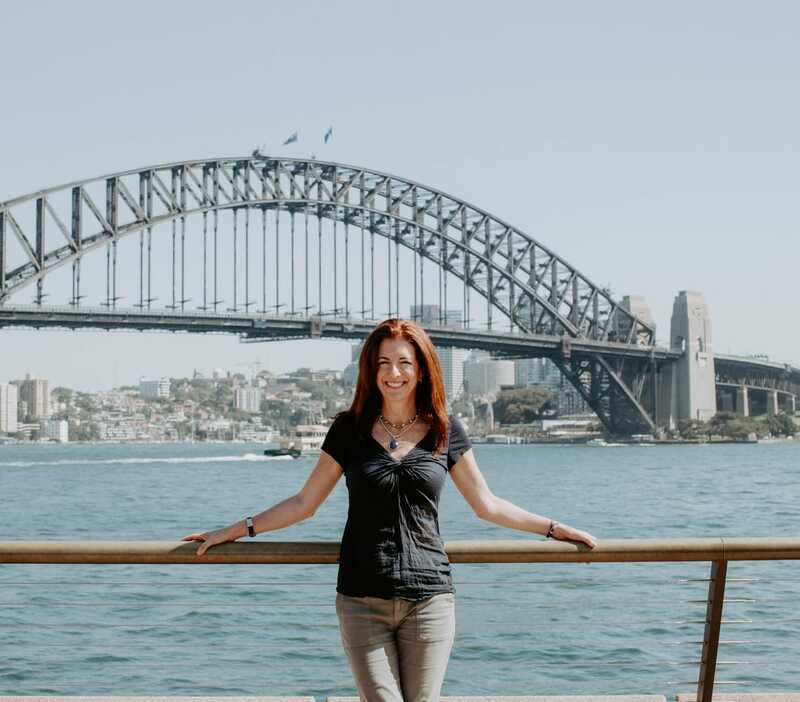 Our Family Vacation Advisors work with a select group of tried and tested guides who understand how to engage kids of all ages, and can happily recommend them as part of our trip planning service or packaged Italy trips. Guides, however, are not inexpensive. If you choose just one guide for your trip, choose one for ancient Rome, as understanding the big picture in the most meaningful way requires additional explanation. Immersive activities abound: In addition to walking tours, other extraordinary favorites include gladiator school in Rome, mask making in Venice and cooking classes with kids in Tuscany. Not all experiences are created equal; book these and other vetted activities through our Family Vacation Advisor team to ensure you’re getting the best quality. Staying in the countryside? You need a car: Although the trains in Italy are a fantastic way to get between the big cities, the transport system is not as efficient for smaller towns and villages, particularly in the rural interior. When you stay in the countryside, renting a car is, more often than not, a must. See this list of expert Europe car rental tips by Auto Europe for must-read tips. 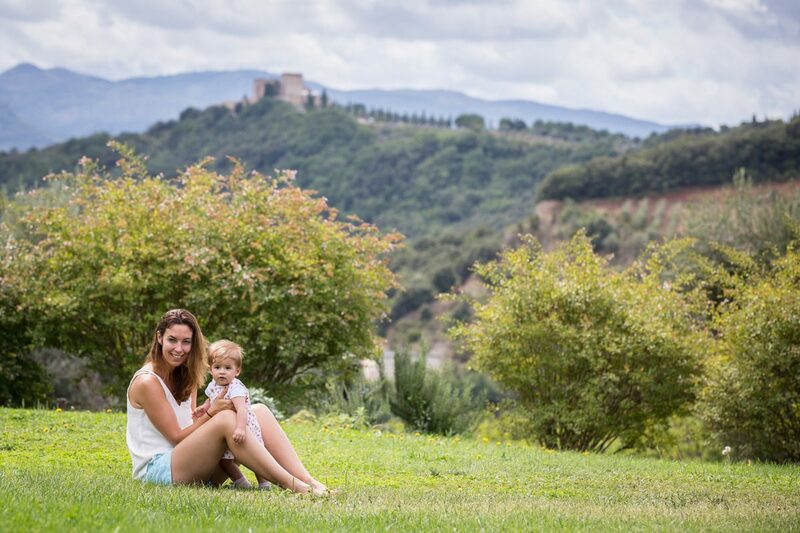 Baby and toddler travel in Italy is delightful: Italy is a fantastic place to travel with a baby or toddler, as Italians love children and go out of their way to ensure families are comfortable. Most family hotels and resorts provide cribs (cots) and highchairs. Not all independent Italy villa rental agencies, however, provide them. Be sure and ask if this is the case for your specific unit ahead of time! Growing list of baby equipment rental agencies in Europe: There’s a growing list of baby equipment rental companies providing everything from car seats to strollers across Europe, much more so than when I started Ciao Bambino in 2004. Be sure and Google whether you can rent instead of carry items to lighten your travel load. Kids’ menu not needed: We don’t publish many articles about kid-friendly dining in Italy — for good reason: there are few restaurants that are NOT kid-friendly. Note, most do not offer children’s menus but will custom-make pastas on request, and, of course, pizza is everywhere. 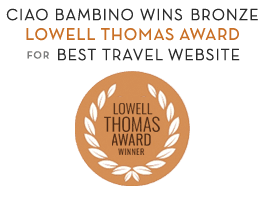 One thing that makes Ciao Bambino different from other family travel blogs is that we are also a Virtuoso-affiliated travel agency, with exclusive benefits to pass along to our clients. Our Family Vacation Advisors are experts at ensuring that hotels provide the best configurations and pricing, and we have an incredible resource list from our own travels, as well as the constant feedback we get from our clients who have kids of all ages. Click here to get started! This is great! I’m so glad I found this website. My husband and I are thinking about taking our 3-month old to Italy sometime in February 2014. By saying “taking our 3-month old to Italy sometime in February 2014” you mean, baby that is going to be born in October/November? or 3-month old now, which is going to be 1 year old? Well, if baby is going to be still born in few months, then I would wait with planning anything. You never know with babies, if this is your first one (I’ve two). They might come and be very easy, but they might have colic, reflux and scream for first few months for unknown reasons; we had both cases. All in all I think traveling with infants/babies before they start crawling/walking is very nice (and free for them), since you don’t have to chase them down and can plan the trip 100% for you and your husband. Make sure only to schedule your activities in small time increments so baby can go back to nap in peace – nothing worst than tired and overstimulated baby. Yes, don’t be fooled thinking, oh my baby is full of energy/doesn’t want to sleep – it will back fire every time! ps. as I may add, look for a vacation rental home/condo instead of hotel (as you see from my email I work with HomeAway.com and there are plenty rentals around Italy to choose from on our site). Rentals might come with a crib or other baby friendly equipment. Good luck! I will be taking my two sons and husband to Venice this August for a week. Could I use your services for a hotel and transportation arrangements? I am crazy interested in the Biennale, but the others…not so much! What would you suggest for an eight and ten year old’s itinerary? My husband and I are planing a family holiday for the whole month of April 2014, with three children who will be 5, 3 and 11 months. My parents may join us for a fortnight. Thinking south, coastal. Suggestions? I think a week in an agriturismo in Tuscany would be ideal. At least that is what we did with another couple when our kids were the same ages. Rent a mini-van so you can drive around. Get a place with a pool. You won’t find one perfect spot in Tuscany to see everything in the region, but don’t worry, you can always go back. Planning a trip with my 12,8, and 6 yr olds next year. We don’t want to rent a car and plan to take trains to travel. Is this possible? We are thinking 5 nights in Rome and 5 in Florence. We are leaving next week for Italy.. Will be staying with family 1 hr from Naples and 2 hrs from Rome.. Looking for a beach island to go for a night. I have 2 toddlers (2,3). Ponza? could one of your family Travel Advisors please contact me. We are planning a 2-4 week trip to Italy in September 2017. With our child who will be 18 months old then. Hi Lindsey! A Family Travel Advisor will be happy to reach out to you. Thanks for your interest! Hi, we are planning a trip in the end of April with a 9 yrs old boy and 2 yrs old girl. We are looking at about 10 days in Italy once we land into Rome. Can you suggest a good itinerary with activities for kids. We are a family of 5 with 3 kids aged 10,7, and 5 yrs. Please suggest a speliast agent that could chalk out a great holiday in Italy for us. Hi Aditya! We can absolutely help with that. Our Family Vacation Advisor specializing in Italy with kids will reach out to you in email. Thanks and happy planning! Hi Aditya, My family of five will be traveling to Italy next May/June of 2018. We are thinking of doing a house exchange and trying to figure out the best region to stay with the idea of doing a few 2-3 day excursions close to the house. My children will be 10, 8, 5. Can you please suggest a good region to be able to visit Rome, Naples, and possibly Sardinia? Hi Jenn – House exchanges aren’t something we typically handle, but we are happy to help with activities. I’ll have one of our Family Travel Advisors specializing in Italy reach out to you in email. Thanks! Hi! We are a family of five with three children aged 11,9 and 6. We would like to stay at a wonderful hotel with possibility to reach cinque terre for a day visit – abd also tobe able to stat and relax at the hotel in beutiful surroundings. Thinking 4-6 nights before we head home. Fly to Florence or Rome possibly? Thank you for suggesting ! Hi Yngvild – We’d be happy to help! There are quite a few properties in Tuscany that would be ideal. I’ll have one of our Family Travel Advisors reach out in email to talk about next steps. Thanks! We are planning a trip to Italy this summer. It will be a 7 day vacation. We have 3 boys ages 13 , 11, and 7. Not sure what part of Italy to visit within those 7 days. We like a little bit of everything. Travel, hike, sightsee, walking, beach and exploring. Can we see more then one town in 1 week? Any advice? Hi Jessica – I’ll have one of our Family Vacation Advisors specializing in Italy reach out in email to see how we can help. Happy planning! Hi! My husband and I are travelling in Italy with our 4 year old and 1.5 year old in June. We have plans in Calabria for 4 days in the middle of our trip but otherwise nothing is set up. Could you please connect me with one of your Advisors to discuss some options? Really appreciate it! Hi Juleigh – Absolutely! One of our planners specializing in Italy will reach out in email. Thanks for using Ciao Bambino, and happy travels! Hi, we have a week booked in August at a villa in Tuscany. I am struggling to decide on where else to plan the second week. We are travelling from Australia and would like a seaside experience as we are already doing the countryside in Tuscany. Any help would be great. Hi Terri – Thanks for using Ciao Bambino! A seaside experience would pair beautifully with time in the country. I’ll have one of our Family Travel Advisors specializing in Italy reach out in email to see how we can help. Happy travels! We are looking to spend a week in Italy in July, combining beach and countryside experiences with our boys aged 4 and 2 years. We are thinking to rent a car from Rome and head to a suitable destination. We would like to go somewhere that is welcoming and properly equipped for kids, easy to walk around with strollers, family friendly beaches, etc. Can you please advise where to stay and what to do? Hi Luna, absolutely – we love Italy for young kids and can recommend some good options that may work for you. One of our Family Travel Planners specializing in Italy will reach out in email. Happy planning! Hello, we are 3 couples, one 17 year old girl, 10 year old girl, and two 7 year old kids (boy and girl) and we are planning to visit Italy on 25th June for 10 days. We want a family resort that offers activities or a club for the younger ones, and activities for the whole family like water sports, rafting, sea kayaking, little trekking, horse riding, and visiting scenery, etc. I found Sicily and Sardinia interesting. Please suggest further. Thank you. Hi Rauzat – thanks for using Ciao Bambino! One of our Family Travel Advisors specializing in Italy will reach out in email to see how we can help. Great post! My family and I are planning our vacation in Italy this summer. We are going to have tour all around the country and we are so excited! Thank you for your amazing suggestions, they were exactly what we’ve been looking for! good! Fabulous post… regards from Italy!! I will be travelling to Italy next week with my 2.5yrs and 11month old babies, along with my husband, mom and dad (lot of help out there). I’m going to Milan, Venice, Florence, Pisa by a van arranged by the tour company. From Pisa i’m taking a train to Rome. I will be arriving in Rome by 10AM, so hoping to do some sigh seeing the rest of the day by ourselves. Next day i’m heading off to Naples by a van pre arranged. Following day, again in Rome by the hop on hop off bus. I’m planning to bring a stroller for my 2.5 yr old as she’s quite heavy to carry and slow to walk. 11month old will be in a carrier. Will strollers be a difficult to manage in my itinerary? Also, do I need to bring any snacks from my home country for the kids or are there anything to buy outside on the streets? First day in Rome, is it ok to use public transport with kids or is it ok to go to Tivoli by train? I want to see the Collosseum, Roman Forum, Palantine hill, Pantheon, St.Peters Bascillica, Spanish Steps and Travi fountain. PS: both my kids are easily outside anywhere even out of the country and they eat what we eat. Hi. We are flying into milan on 29th of march for 12 nights. We have 2 children who will be nearly 3 and 5 and a half. We dont mind travelling a few hours in any direction and wondered about 6 nights in one place and 6 nights in another. My sister lives in Rome and is going to meet up with us. She doesnt have children so although can suggest nice places to visit would like child friendly suggestions. Also preferably best destinations for reasonable weather. Thank you. Hi Karen, thanks for using Ciao Bambino! We’d be happy to help with your plans. A Family Travel Advisor specializing in Italy will reach out in email to talk about next steps. We are planning a trip to Italy in mid July for 15 days with a 7 and a 9 year old , is it going to be too hot ? We live in Arizona , so kids are used to the heat but still I am not sure . Hi Sarah! Depending on where in Italy you are, temperatures vary, but overall July can be very hot. One good strategy is to plan sightseeing for early and/or late in the day and enjoy some pool time or downtime during the hottest hours. Would you like help with your travel plans? I can have a Family Vacation Advisor reach out if you like!